INDEPENDENCE, MO (April 15, 2012), by Tim Steger — First off, as an Aerospace engineer, I don’t do thing without planning. 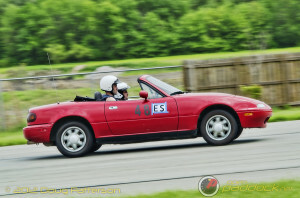 I have had my racecar, a bone stock 93 base Miata, for about 25 days. I recruited a co-driver, who had won a trophy in the past in his own car. I figured he would help me get the car ready, then potentially help improve my driving skills. And yet, after the weeks of planning and wrench time, I realized I had more fun today than I thought possible with my clothes on. First on my plan was the car preparation. This car had over 175k on the clock, and while it was mostly well taken care of, there were still some nagging things like a small intermittent antifreeze leak that needed to be resolved. I did not want the car blowing up, or simply failing, on the first track day. With the aid of my Co-Driver Dave, we fixed the water leak. This included the not so simple task of replacing the belts, timing belt, and water pump (the actual culprit). Some additional basics like new spark plugs and an oil change, then the car was ready for Street Class E stock. My one nagging concern was the all season no name radials, hard sticks of butter I feared. Race Day was here, it was windy, rainy, and almost cold. Not my first choice, however this was spring time in Kansas City. I had read multiple forums and race suggestions. 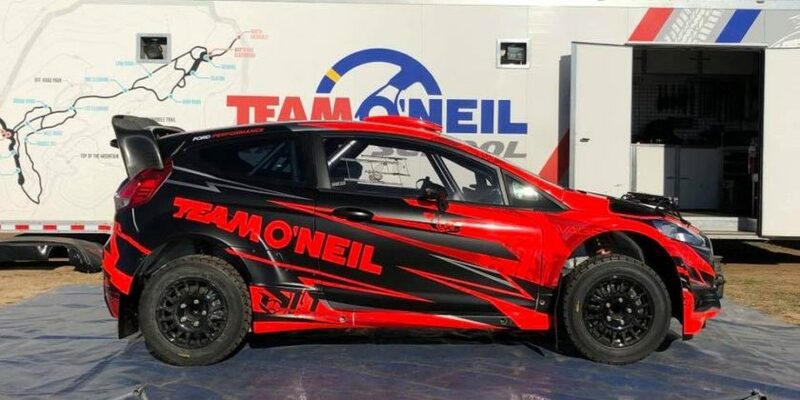 Slow is fast, the importance of position, let the momentum carry you through a corner, don’t forget your traction, and even the basic, feel the car. Yet, while walking the course before the drivers’ meeting, I was wondering if I can actually do this. As I limped the course (thanks to a very recent soccer knee injury), all of the things that I had read, almost immediately gone blank. Hours later, I sat with my heart racing in the driver’s seat ready to go. I had watched numerous drivers take their lines. I spoke with many of them on track conditions, car setup, and how the course felt. I had even taken a parade lap, in fact almost hitting a cone on that lap, I bet I would have been the first to ever do that. Back at the starting line, I was so much more nervous than I thought I would be. Nerves were shaking, a quick pep talk from Dave, and the flag dropped, so I was ready. Dump the clutch and we were off. This car made all sorts of new wonderful sounds. First run was slow, uneven, but a clean run, no cones. Somehow my first run felt even better as I was a passenger with Dave’s first run. Three corners in I felt that we were heading in too hot, next thing I knew we were rotating, then farming in the grass. So I won round one, by default. Unfortunately, by the end of the day he had me beat by just over a second. With the same car, same setup, and same awful all season tires, to be within a second of the seasoned co-driver, I felt pretty good. Editor’s Note: Tim Steger works as an engineer in Lenexa, KS, and has always enjoyed working, tweaking, and driving cheap cars he finds in the classifieds. 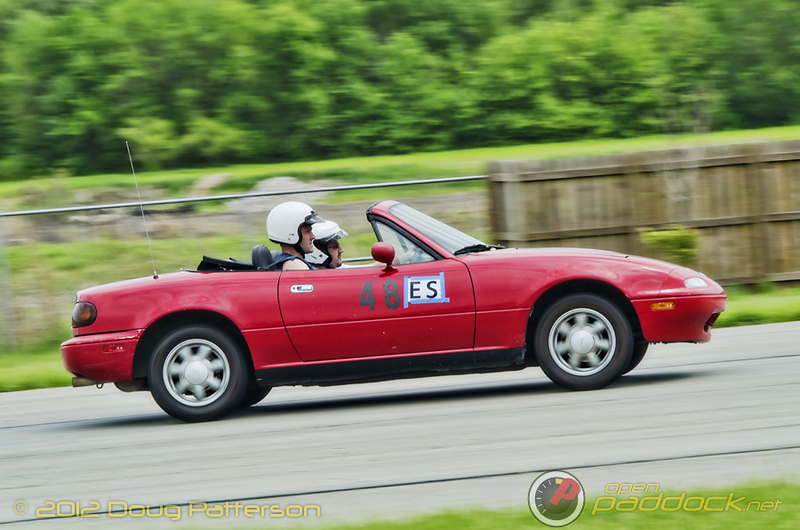 This wasn’t only his first race driving experience, it was my first SCCA Solo event as well, and it was a ton of fun to photograph. Now I’m hooked and looking into getting a weekend toy for myself. 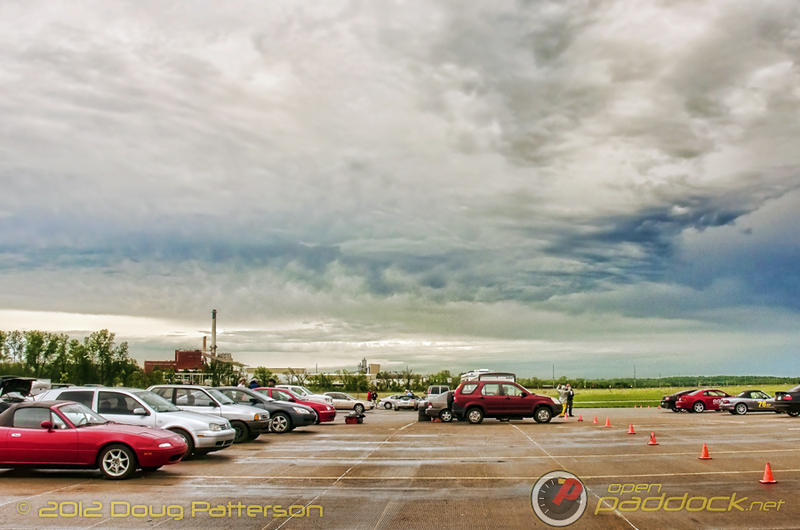 The next Kansas City Region SCCA Solo Event will be the first weekend of May at Heartland Park Topeka. 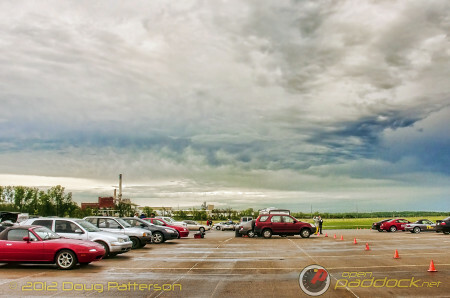 Bring your car and your camera, and join us for some high-speed fun! 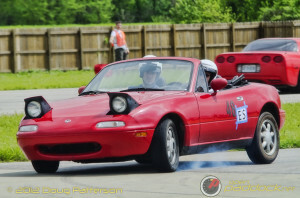 Learn more at the Kansas City Region SCCA website, http://www.kcrscca.org. Keep writing about your progress in the sport, Tim. How did you win round one by default after mowing the lawn? Who beat you by the end of the day? During the event, there were a number of people doing ride-alongs with more experienced drivers to get feedback and tips on how to improve their driving. I was really impressed with how open, friendly, and enthusiastic everyone was that all should participate, have fun, and learn. Hey Doug, thanks for coming out! It was cool to run into you again after 100AW, and we’re all a bunch of suckers for action photos. 🙂 Unfortunately, you’ve missed the right time of year to buy a prepped turn-key ride from somebody moving to another class. 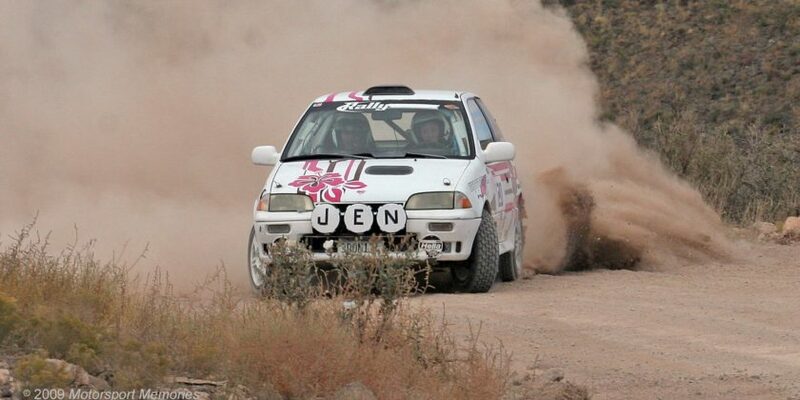 Even so, autocross is as amenable to “run-what-you-brung” as motorsport can be. Provided it’s not falling apart and won’t tip over in the corners, it’s a valid entry, so sign up and grab a helmet! I definitely will! I’m searching now for a good, cheap car to use. What were you running that weekend? I’m sure I snapped a photo of you. If you’re borderline-suicidal and hate things that work all the time, I know one of the local guys is selling the shifter-kart he ran last year.